Breakfast is the most important meal of the day, so much so, that sometimes you need to have it twice: once to start the day, and once to finally end it (and perhaps partially restore your sobriety). 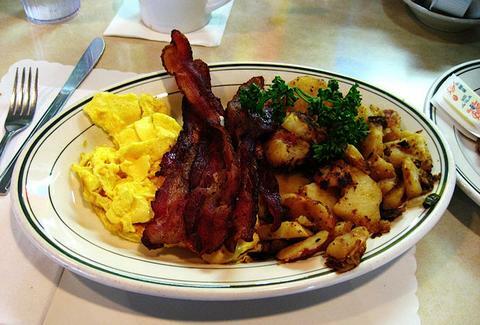 Thankfully, in Toronto there is no shortage of spots to grab eggs and bacon (and beer!) late into the night. Here are seven of the best. 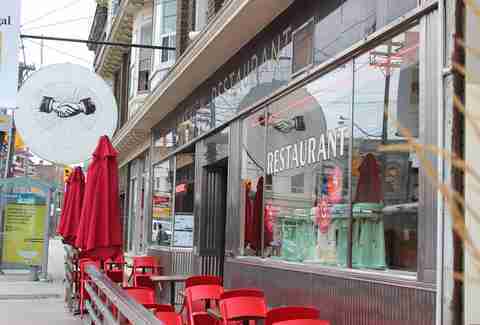 A bit more refined than most late-night eats, and definitely serving up more than just breakfast, Hawker Bar is quietly rising to the top of Toronto’s low-key, west end bar scene. It’s a small spot, often crammed, and the menus are hand-written on scraps of paper. Try the Son in Law eggs, soft-boiled then fried and served with chili jam. Attached to the Thompson Hotel, this dinner is a classy 24hr spot, where you’re waited on by servers in bow-ties. 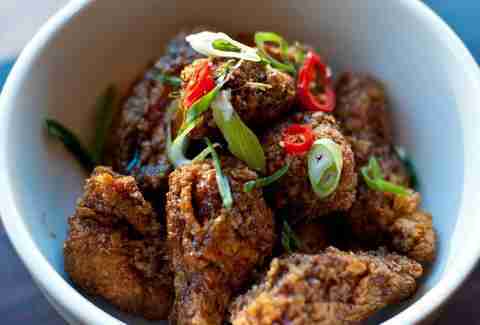 Once you order, your focus will shift pretty quickly from the swanky surroundings and onto your food. 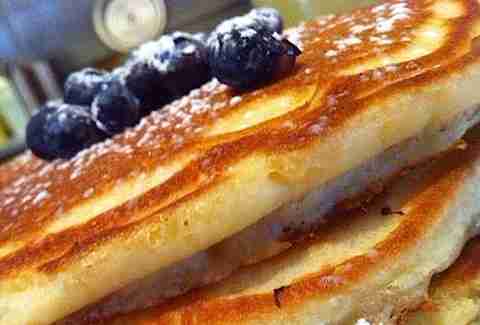 Try the sausage-and-bacon-stuffed pancakes, topped with onion rings and a fried egg. On the other end of the spectrum is The Lakeview, a standby in the west end of the city. It’s often filled with staggering, slurring patrons, the service tends to be slow and the the food ranges from pretty mediocre to surprisingly good -- but the menu is huge and there are $4 pints, $3 mimosas, and $2 pony pints every day. 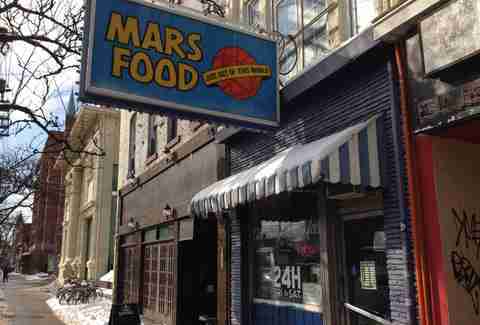 Mars Food looks like a bodega from the outside and it pretty much is, serving you your breakfast cravings at all hours over the weekends. 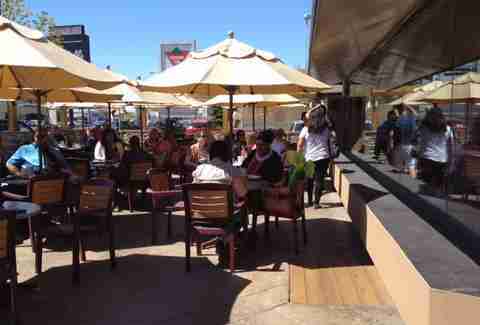 The portions are a good size and the food comes quickly once you’re able to get a server. The housemade pies are pretty spectacular. Restaurants that are open 24/7 tend to run on the tacky side, but 7 West is actually a pretty snappy place and the prices reflect that. 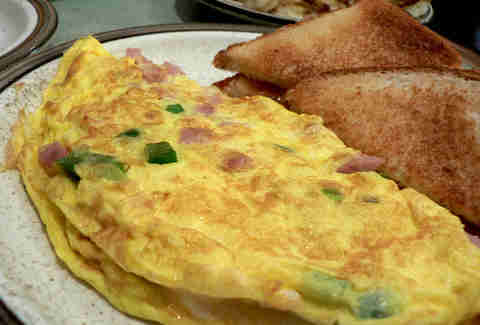 Try the 7 West omelette with onion, green peppers, and mushrooms, but be prepared to pay a totally worth-it $12.95 for it. 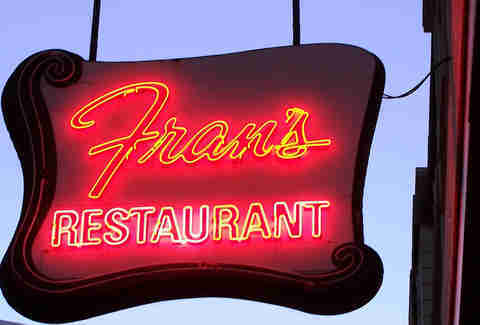 Frans has a ton of affordable comfort food that will help mop up all the booze, and with three locations scattered across the city, you’re usually never far from one. There are no extra gimmicks about this spot, it’s a classic greasy spoon. Try the Maple Leaf’s Forever -- three large eggs, maple syrup infused sausages, home fries, and homemade baked beans. If you find yourself on the outskirts of the city, The Grille will be there to serve you heaping portions at affordable prices. Test your arteries' resilience and order the Meat Lover Skillet; home fries topped with ham, bacon, peameal bacon, sausage, two scrambled eggs, mozzarella, cheddar cheese, and Hollandaise sauce. Then, attempt to stand.